I've always loved moss and lichen, even before gardening and plants became an obsession. Around here both usually go unnoticed, unless you're an astute observer of Nature or are a plant person. Or you're a rock person -- as I am. The other morning when I was scraping together some frost photos before the early sunlight replaced the "frosty" description with plain old "wet", I happened to look up at the gutter above the deck. Imagine my surprise to see it dotted with lichen! I knew that the gutters needed a cleaning last year and I had planned on doing it after the roof replacement was finished, but somehow that task never made it to the top of the list. Now that gutter dirt has revealed its true identity! 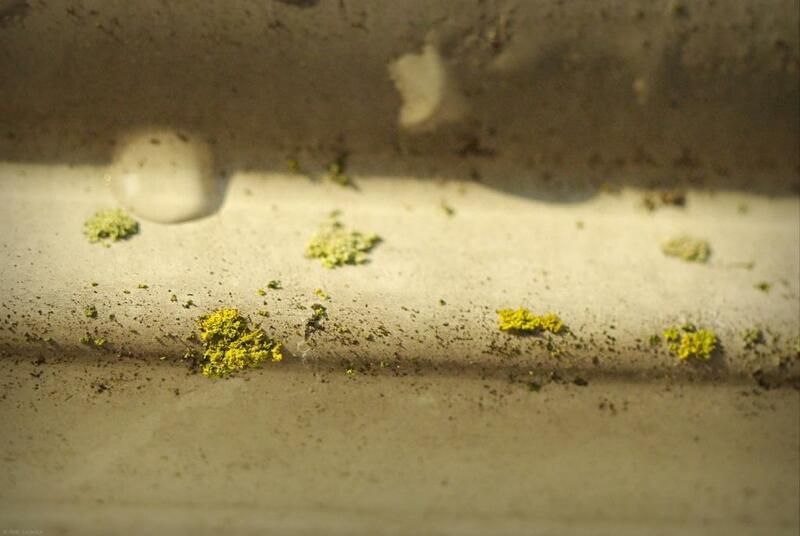 I've read that keeping moss (and lichen?) under control can be a challenge up there. Hoping the neighbor's power washer will easily remedy this though. One interesting thing I just learned: most lichens have a particular "surface" that they call home, and you'll only find it growing on that type of surface. You won't find the same lichen growing on a tree and a rock for instance. 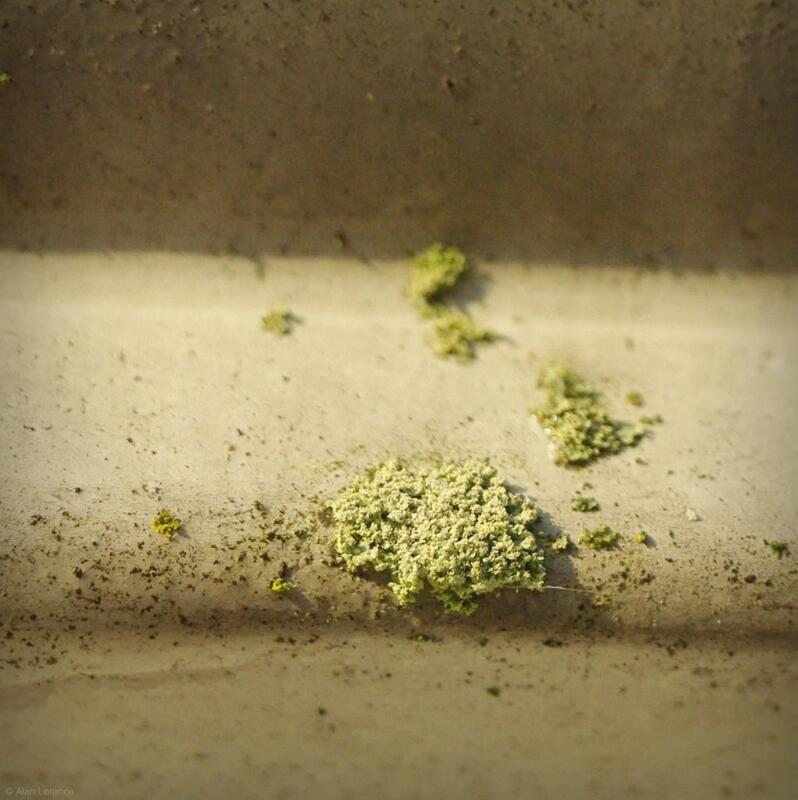 Lichens will make themselves at home on most any undisturbed surface commonly known as their substrate. Bark, wood, mosses, rock, soil, and peat are all natural substrates. Thalli will also establish itself on glass, metal, plastic, and cloth. Most lichens are restricted to certain types of substrate; lichens normally found on tree bark, for instance, are rarely found on rock, and vice versa. 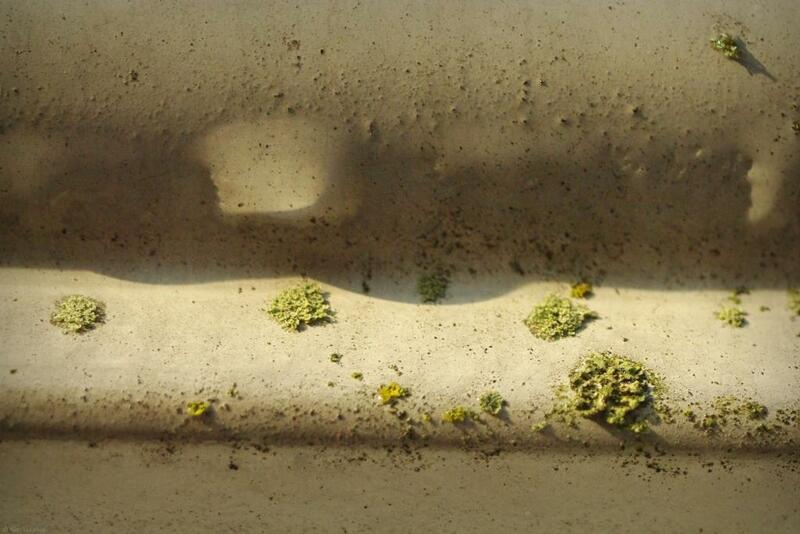 Lichens established on stone in the landscape give the garden a mature look. 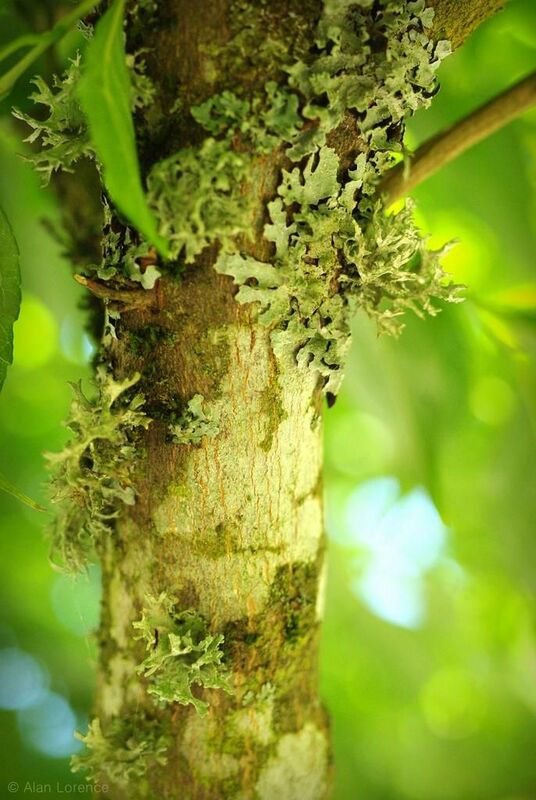 Discovering a lichen growing on your tree is not a bad thing. In fact, it should be celebrated by giving you peace of mind knowing that the environment in your neighborhood is clean enough to support this amazing dual organism. That was taken from an Ohio State University page (that appears to need some reformatting). 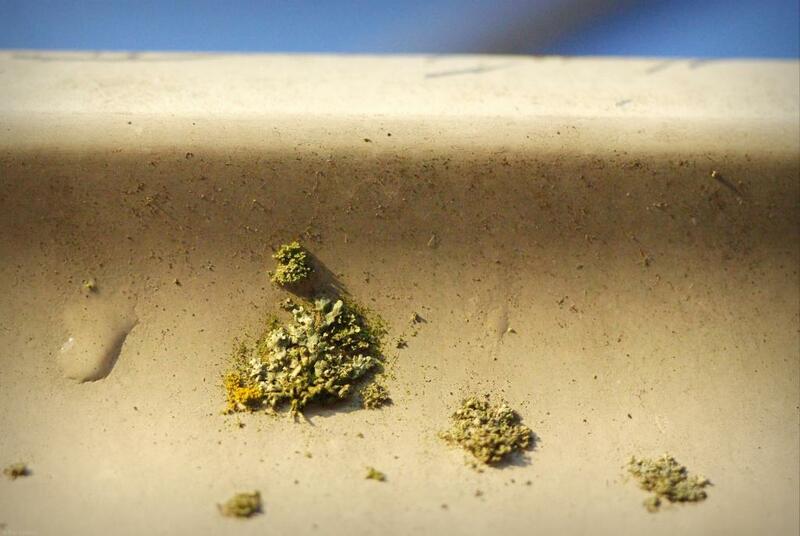 I love lichens, just not on my house! Lichen and moss fan here as well (most of the time anyway, depends where they are...). Such understated plants, literally and figuratively. It's when the moss starts growing on you that you'll be a true pacific northwesterner or when you develop webbed feet. I do love the moss and lichens that grow on our trees, rocks, any surface really. Congratulations! And you really need to visit in the early spring, that's the most lichen-filled mossy wonderland time.